A note to your Husband from my Husband! ‘You will never have any children of your own.’ Upon hearing these words from my doctor, I could have reacted in any number of ways. I could have cried out in anguish and despair, or in anger and accusation. I could have blamed my wife, God, my parents, the government, global warming or genetically modified food. Any of these reactions would have been normal and to be expected when someone hears such devastating news. Instead, I received the news with an unexpected calm, and in my mind I rejected the diagnosis. As I left the doctor’s office, God gave me a vision. I saw myself holding the hand of a small child. As I wondered what this meant, I heard a voice say, ‘this is your child.’ That was it. We would have a child of our own, and nothing any specialist said to me could ever change that fact. No argument could ever change that fact. I remember telling my wife that God had said ‘be fruitful’ and that was enough for me. The situation will be different for each couple, but in our case, I was the one diagnosed with the problem. Those men like me who have experienced fertility problems can sometimes feel that like we’re ‘less than a man’. That’s like saying that a car missing its rear vision mirror is no longer a car. If you are experiencing fertility problems, then I encourage you to read as much of this web site and my wife’s book ‘God’s Plan For Pregnancy’ as possible. 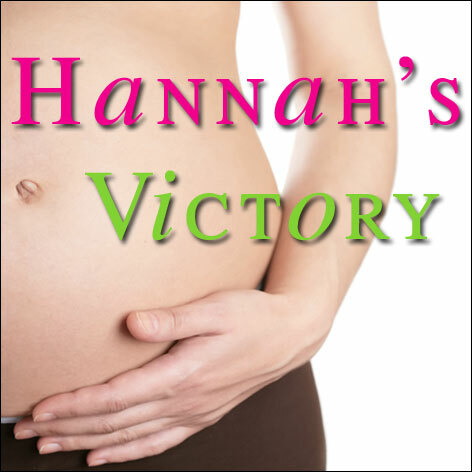 While this may seem primarily for women, with many subjects that can make even the toughest of us queasy, her books contain biblical truths and encouraging testimonies of other couples who have overcome infertility. Maybe your wife is the one experiencing a fertility problem. She may also experience feelings of incompleteness or inadequacy. As the spiritual head of the household, you are called to uphold her, strengthen her, pray for her and encourage her in her faith in Jesus. I therefore encourage you to stand in agreement with your wife for your personal situation for there is power in the prayer of agreement. Additionally, you will find that you will grow stronger together as a couple and also in your relationship with the Lord.